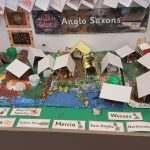 Both History and Geography are part of the Foundation subjects and are taught as part of a cross curricular “topic” which brings together many subjects of the primary curriculum under a single theme. 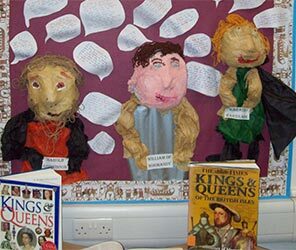 Within the primary curriculum History teaching will help pupils “gain a coherent knowledge and understanding of Britain’s past and that of the wider world. 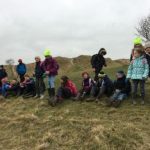 It should inspire pupils’ curiosity to know more about the past.” It focuses on the development of historical enquiry skills to include chronological understanding, knowledge and understanding of events and the study people and places, using a range of primary and secondary sources. 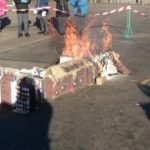 Class re-enactments such as ‘The Great Fire of London’ , historical artefacts, school trips and visitors are carefully planned to bring History alive. Geography teaching “should equip pupils with knowledge about diverse places, people, resources and natural and human environments, together with a deep understanding of the Earth’s key physical and human processes.” It focuses on location and place knowledge, human and physical geography and geographical skills and fieldwork. Lessons are enriched with the use of ICT to support map and atlas work and research. 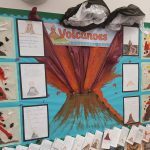 They can incorporate themes such as “Where we live” in KS1 where fieldwork is undertaken to identify human and physical features of the locality to “Volcanoes and Earthquakes” in KS2. 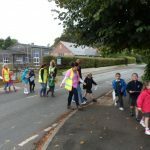 The teaching of Geography includes contrasting localities and is enriched by themed weeks such as “Global week” “Fair-trade Fortnight” and Residential trips such as Braeside.